Panelization is revolutionizing the construction and engineering landscape today, saving time and money. In this final post of our blog series, we reiterate and summarize the benefits of prefabrication and specifically the rise of panelization. We also offer an overview of what to look for if you want to incorporate these “manufactured” panel solutions into your construction and engineering plans. A systemized approach to panelized construction can offer many benefits over traditional precast panels, including speed, value and superior performance. There are lightweight, energy efficient, durable panels available today from panel producers from a network of panelizers/fabricators such as those associated with Sto Panel Technology. These are available in a wide variety of aesthetic options for new construction or renovation. Building envelope installation-time can be greatly reduced using prefab wall panels. The reason? Fast-track, systemized panel manufacturing can occur simultaneously with site prep and construction, with fewer delays due to weather and faster installation times. By eliminating scaffolding and other complications of working at high elevations, prefab panels can also help reduce jobsite labor requirements and crew sizes along with the associated risks. Lightweight panels can also lower structural requirements, drywall furring, boxing, strapping and various costs related to doing it “the old-fashioned way.” Since the shortage of skilled labor is one of the biggest issues in commercial construction today, any labor-saving innovation such as reduced on-site craft work can add value. In pursuing a panelization solution, make sure your vendor’s output is in full compliance with codes for testing, building and energy efficiency. Sto panels for instance, have ISO-engineered components and offer superior fire, and thermal performance with industry-leading warranties. If you’re adopting this technology, look for products that offer extensive architectural and finish options. With the factory application of materials, you can count on a consistent, high quality finish that will last. 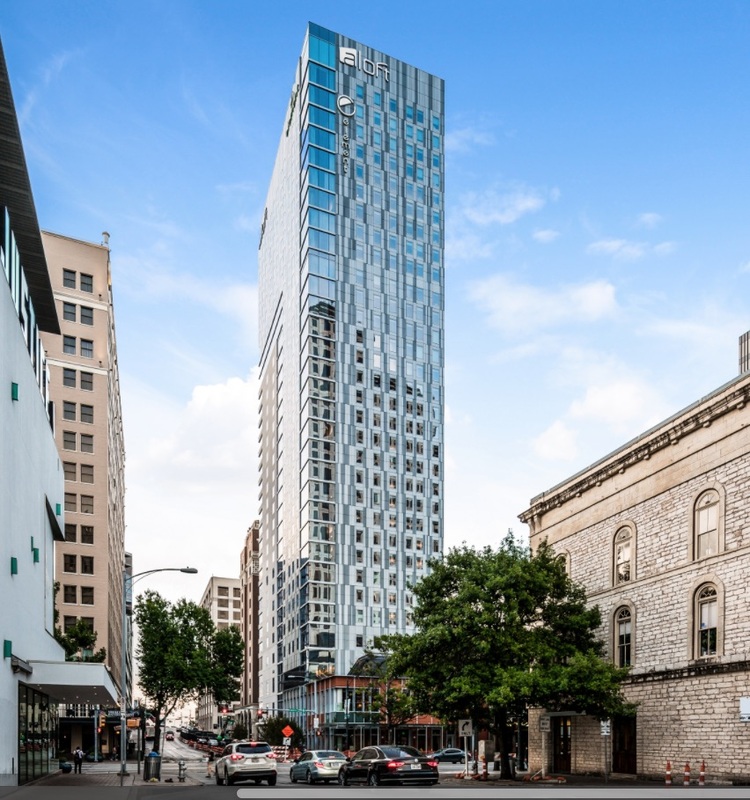 The beautiful, new Aloft / Element Hotel in downtown Austin, Texas was a StoPanel project with panels engineered and manufactured by Baker Triangle Prefab in partnership with Dri-Design. The 34-story building represented a design and construction challenge due to the restricted access to the site and non-existent lot-line. The results speak for themselves. Over the past few years, leading building material manufacturers, such as Sto, have partnered with regional affiliates (leading contractors and fabricators) that are independently owned and operated, ensuring high-caliber products and solutions in every major construction market. Sto, in particular, has a network of 24 affiliates (19 in the US; 2 in Canada; 3 in South America) that are developing common processes and best manufacturing practices while adding panel components that put Sto Panel Technology on the leading edge of building design. By specifying a single, versatile prefab panel with the option of utilizing virtually any desired finish — from brick and natural stone to the most modern, light-weight energy-efficient coating systems — owners and designers now have the freedom to choose the look they prefer while meeting the schedule and performance requirements the GC/CM desires at a price every owner will find attractive. Exterior insulated wall systems that are engineered, fabricated, shipped and installed can be a competitive differentiator, saving time, adding value and improving quality. These prefab solutions and other offsite building processes are in fact transforming the construction industry and promise to continue doing so. Many states and municipalities are adopting new rules for commissioning construction projects. The construction industry is re-evaluating the traditional design-bid-build method of project delivery and exploring alternatives. Rather than architects designing a project and then, after the fact, involving a contractor to bid and build, the new trend is for “integrated project delivery” with designers and builders working together from the start of a project with a single contract for both design and construction services. In fact, half of all U.S. states now favor an integrated design-build approach, which reduces the likelihood of schedule-stops and delays, budget over-runs, change orders and other conflicts. Studies have found that a design-build delivery system can cost 6% less and result in 34% faster project completion compared to the traditional design-bid-build format. New York requires design-build on some state contracts, claiming that infrastructure projects in particular lend themselves to this integrated approach and could save New York City alone $2 billion over the next decade. There continues to be ongoing dialogue over this practice and trend.